Tomero wines are traditional Argentine varietals with classic varietal character that is always true to their terroir. 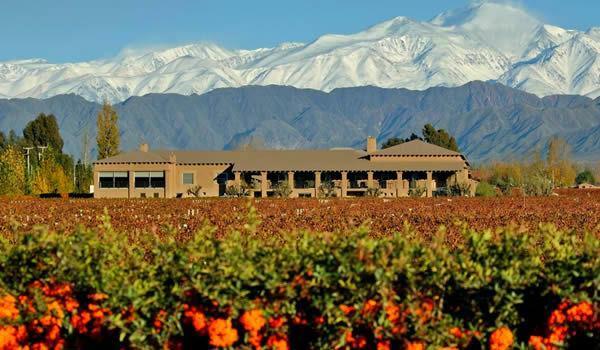 Most Tomero wines are sourced from high-elevation vineyards in Valle de Uco, a sub-appellation of Mendoza nestled against the base of the Andes. The Valle de Uco is located 130km southeast from the city of Mendoza. Antonio Pulenta came upon these lands more than 40 years ago and began the planting of vineyards in what today is known as Finca los Alamos. It is a vineyard of inestimable value due to its location, age and the grape quality. It is comprised of 400 hectares of trellised vines with bilateral spurred cordon, that produce varieties such as Sauvignon Blanc, Chardonnay, Semillon, Malbec, Petit Verdot, Pinot Noir, Cabernet Sauvignon, Syrah and Viognier, and originate the Tomero Wines. The Tomero became a part of the vineyard scenario in 1833 and his presence continues to this day. His job is the distribution of irrigation water in those vineyards or crop fields which, by law, are entitled to use the river water. The Tomero is hired by the landowners, and his duty is to open and close the "Tome de Agua" (Water Intake Channel) of each estate. Today, the Tomero is the symbol of an irrigation system developed more than 100 years ago, that has enabled the development of vine-growing regions in Mendoza. "An intense claret red, our Malbec displays tenacious aromas of Turkish fig, white chocolate, and notes of prune imparted by time spent in French oak. A fresh entry and a bright, juicy mouthfeel are complemented by sweet and robust tannins. The finish is full and spicy, calling for another sip."